Rebecca adds the component of producing a necklace to accompnay the artwork done by her colleague in their joint "I Testify" project. 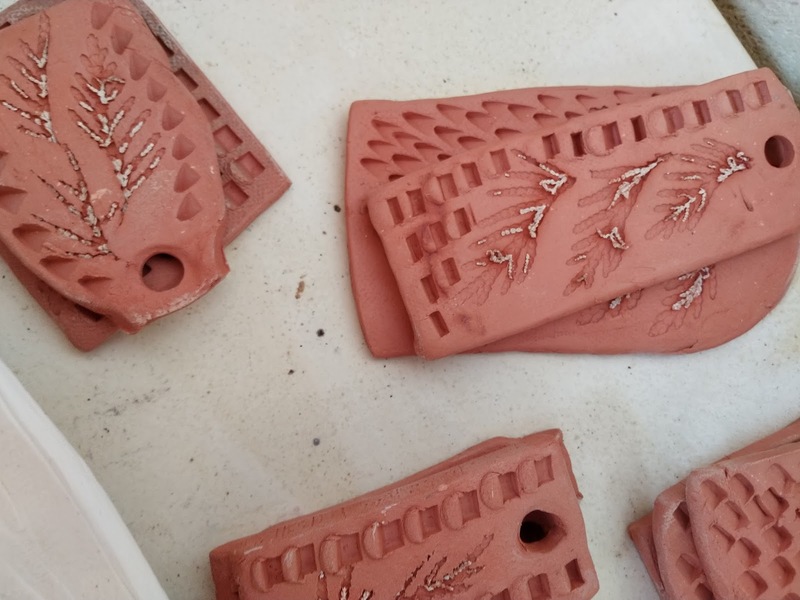 She had given away everything she had produced and so part of her journey back to the Shuswap this April was to make more necklaces of pottery. She finished the task by making series of necklaces. I like the look of these, just coming out of the kiln, what she calls the cedar series. She has take pieces of a cedar branch, pushed it into the clay, fired the clay and only the ash is left. Two more glazes have to be done. But Ilike the look of these -- the ash still present. Plus, this is my favourite of all of the necklaces. I picked out 5 I wanted. Unfortunately I am only allowed to take one.